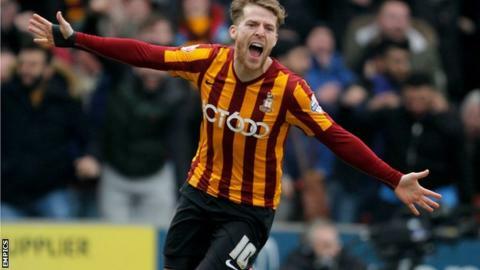 Bradford City forward Billy Clarke has signed a new two-and-a-half-year deal at Valley Parade until June 2018. The 27-year-old scored 14 goals in 46 appearances last season as the Bantams reached the FA Cup quarter finals. The former Ipswich and Blackpool man has missed the last two months with a knee injury but is expected to return to the squad for the League One game against Millwall on Saturday. "I've loved every minute of my time at the club," he told the club website. "My family are settled here - they love it here really - and the support I get from the fans is fantastic," he added. "It has been a tough 10 weeks for me in the gym but I'm raring to go now and I can't wait to be involved again when I'm selected."